We examined if residence in high-incarceration neighborhoods is associated with risk of cognitive, behavioral and physical health problems for young children net of individual-level parental incarceration status. We used regression analysis and linked data from Year 9 of the Fragile Families and Child Wellbeing Study and zip code level information on neighborhood prison admission rates from Justice Atlas of Sentencing and Corrections in 2008. Neighborhood incarceration rates appear to have some independent and negative associations with child cognitive outcomes. For behavioral outcomes, individual-level parental incarceration appears to be the most meaningful. 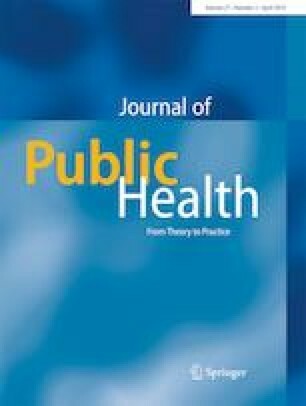 For child physical health outcomes as indicated by BMI percentages and overall good health, neither neighborhood incarceration rates nor individual-level parental incarceration experiences show persistent significant associations. Living in a neighborhood with high incarceration may threaten children’s health and wellbeing, suggesting that mass incarceration feeds into a system of inequality that extends beyond those who experience individual-level parental incarceration by exerting a broader public health impact. The authors declare that they have no conflict of interest, and existing data were used in this study. IRB approval was obtained for use of the restircted access Fragile Families data and was not needed for use of the Justice Atlas data, which are publically available at the link imbedded in the Methods section of the manuscript. Informed consent was obtained by the Fragile Families team during the data collection—we were not involved in that data colleciton. This study used Fragile Families Data. The Fragile Families and Child Wellbeing Study is supported by the Eunice Kennedy Shriver National Institute of Child Health and Human Development through grants R01HD36916, R01HD39135 and R01HD40421 as well as a consortium of private foundations (http://www.fragilefamilies.princeton.edu/funders.asp).